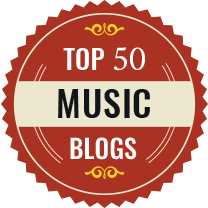 Dan Locklair is one of those American composers who have generated quite a strong reputation in the USA but seem to be under-represented in the UK. This latest disc from Convivium Records goes some way to remedy this. 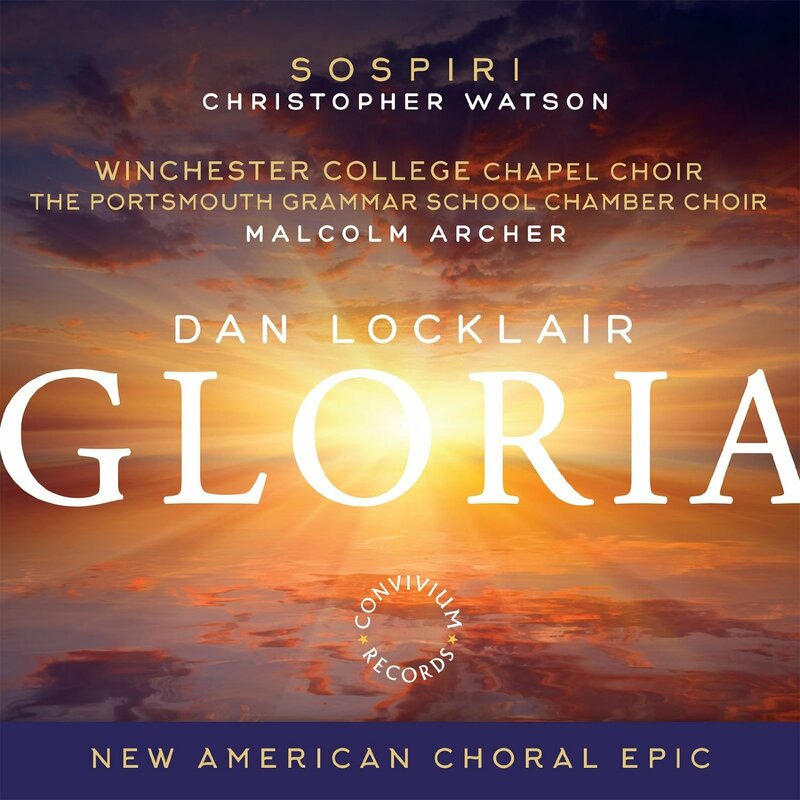 The centrepiece of the disc is Locklair's Gloria for choir, brass ensemble and percussion, where Malcolm Archer conducts Winchester College Chapel Choir and the Portsmouth Grammar School Chamber Choir. This work is surrounded by a selection of anthems and motets sung by Sospiri conducted by Christopher Watson, some unaccompanied some with Jeremy Cole on organ. 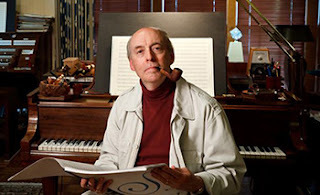 Locklair studied at the School of Sacred Music of Union Theological Seminary in New York and at the Eastman Rochester School of Music in Rochester. He is now composer in residence and professor of music at Wake Forest University in Winston-Salem, North Carolina. 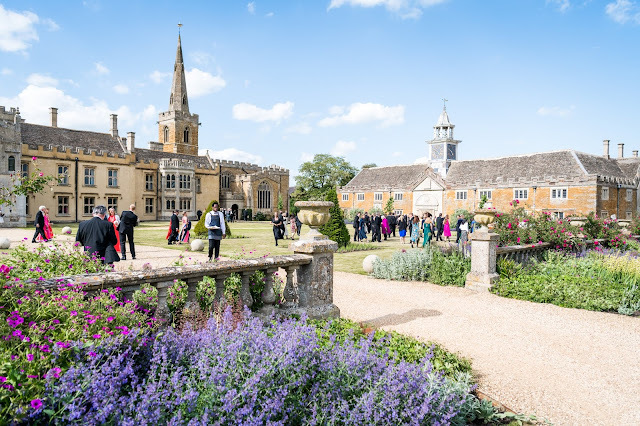 Much of the music on the disc seems to have been commissioned for practical use and, Gloria apart, most of the shorter pieces would work well liturgically, or as part of a concert programme. What I am not certain about is whether the assemblage makes a good CD programme in its own right. Locklair's tonal-but-interesting style with its hints of jazz in the harmonies makes for some effective music, and the pieces are all beautifully crafted. Individually there are some gems which would work well in a liturgical context or a mixed programme, but the overall style seems to lack a little variety. Christopher Watson and Sospiri, accompanied by Jeremy Cole, start things off with Lord Jesus, think on me for chorus and organ, setting a 19th century hymn text. It is contemplative piece, with Locklair building phrases from a single spare line, and with a telling use of dissonance. Words are clearly important to Locklair and Sospiri really bring out the text. The Isaiah Canticles is a three-movement work for unaccompanied choir setting texts from Isaiah. the first two movements start in a similar manner, and in fact similar to the opening work on the disc, with phrases building from a single spare line. But in the first movement we develop to a crisply rhythmic climax, whereas the second is highly contemplative with the choir demonstrating superb control in the long lines. The final movement is more declamatory, with rhythmically interesting interchanges between the voices leading to a fine climax. Angel Song is a Christmas anthem for choir and organ, setting another 19th century hymn text. Here we have a lively organ part and an interesting variety of textures building on a use of unison phrases in the choir. The concluding section reaches an impressive climax, with a big organ solo. En natus est Emanuuel is a setting for unaccompanied choir of a text from Michael Praetorius. A contemplative piece, despite the Christmas theme, with a lovely clear transparent texture. 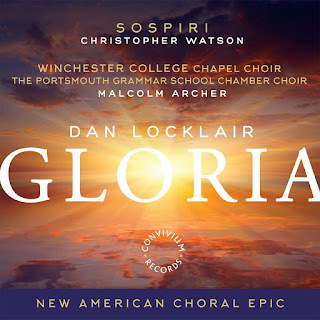 Gloria was written for the Choral Art Society in Portland, Maine but its lively combination of highly effective textures seems ideal for youth choirs and is here performed by Winchester College Chapel Choir and Portsmouth Grammar School Chamber Choir, conducted by Malcolm Archer. After an introduction from brass and bells, a small group of singers begins a chant-like singing, barely there (in fact, reading Locklair's notes you realise that they are placed at the rear of the performance space and gradually move closer). Once the full ensemble comes in we can admire the way Locklair keeps his textures varied, and there is a nice contrast between the infectious rhythmic liveliness, and the more contemplative sections. The young singers are clearly having a great time, and sing both with enthusiasm and skill. Next comes three unaccompanied Latin motets sung by Sospiri. O Sacrum Convivium sets the Communion sentence for unaccompanied choir. 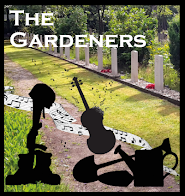 It is a quiet, beautifully formed piece which has some rather effective jazz-like hints in the harmonies. Ubi Caritas is rather darker in mood with an angular melody which develops into something rather powerful. Ave Verum Corpus is quite sober, with an interesting quality to the harmony and a powerful climax. The anthem, St Peter's Rock sets a selection of Petrine texts in English from the Bible for choir, organ and trumpet. The trumpet doesn't so much accompany the choir as dialogue with it, and the choral parts develop out of a unison chant-like melody. Pater Noster sets the Latin text of the Lord's Prayer from St Matthew's Gospel, in close and rich jazz-like harmonies. Remembrance set a text from the Beatitudes for choir, organ and trumpet. This is gentle, rather calm piece, which only rises to a climax at the end. The final work on the disc, is short but perfectly formed, The Lord bless you and keep you. These are finely crafted and highly effective pieces. I suspect that they are interesting to sing, but Locklair knows how to build a piece and keep textural interest whilst using materials which make the music approachable by amateurs, witness his fondness for developing textures from unison lines. The problem with discs which give us a selection of shorter motets and anthems is that we sometimes want something a bit more. I longed for something less approachable, rather tougher and less inclined to fit nicely into a liturgical service. There is, however, a different view of the pieces, one which is articulated by the producer Andrew King in his introduction to the CD booklet 'the compositions are a personal and deeply expressive response to the texts, being set with care, vision and with faith. Repeated listening will serve to deepen .... our understanding of the very texts themselves'. The performances are exemplary. The young people bring elan and enthusiasm to Gloria whilst the smaller pieces are finely done by Christopher Wilson and Sospiri. All of the music on the disc is published by Subito Music Publishing and I do hope the disc tempts choirs into exploring Locklair's music.